You can make Pure Soy Milk at home instead of buying it from the store. 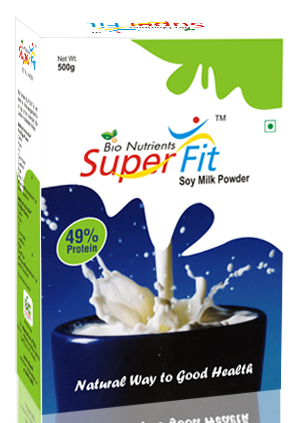 Bio Nutrients SUPERFIT spray dried soy milk powder has a high content of Protein (up to 49%) Fat (omega 3 & 6) and Dietary Fiber with naturally occurring Amino Acids, Micronutrients, Minerals and Vitamins in Soy bean and is well suited as dietary supplement for individual for beverage application for formulating health and dietetic food supplements, neutraceutical application and in biscuits, bakery and confectionary products. * Percent Daily Value are based on 2,000 calorie diet.